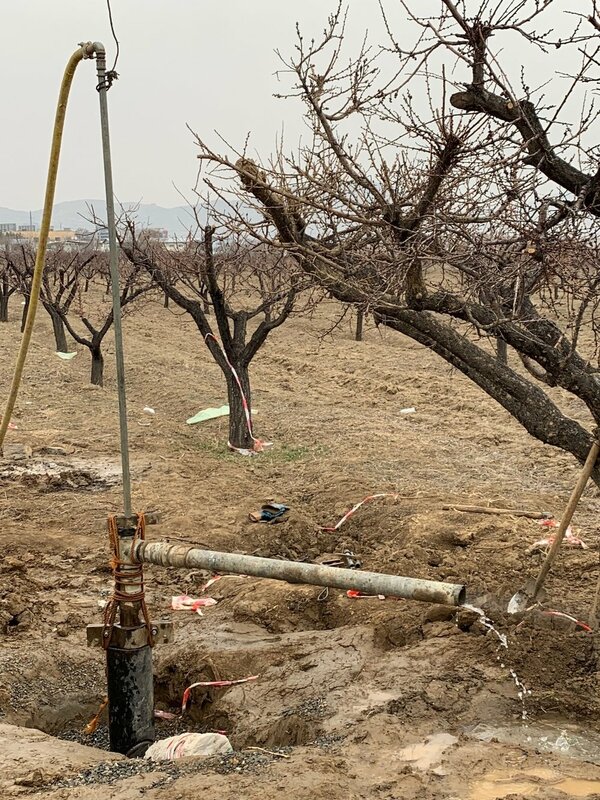 The first Managed Aquifer Recharge (MAR) infrastructure has now been successfully constructed in Kabul, Afghanistan, as part of the Kabul Managed Aquifer Recharge Project (KMARP), administered by Asian Development Bank, funded by USAID, and implemented by Landell Mills. Managed Aquifer Recharge is the intentional recharge of water to aquifers under controlled conditions. Throughout March the Landell Mills team oversaw the construction of a gravity fed MAR injection borehole. This takes water from a surface source and injects it into the ground to increase the water volume and level in the underlying aquifer (underground layers of water-bearing permeable rock). The site is located at Badam Bagh, an area suffering severe depletion of groundwater levels affecting the availability of drinking water. Kabul is reliant on groundwater, but it is one of the most water-stressed cities in the world and its residents suffer from a lack of accessible drinking water. Water will be sourced via the Qarga Reservoir and it will flow through a canal and siphon system to supply water to the MAR injection borehole. KMARP is investigating the use of MAR techniques in order to improve groundwater levels and quality, as well as access to drinking water for Kabul. It includes testing pilot infrastructure as well as design of a follow-on loan investment project.